Dr. Walter H. Kaye’s current research is focused on exploring the relationship between brain and behavior using brain imaging and genetics, and developing and applying new treatments for anorexia and bulimia nervosa. He is the principal investigator for an international, multi-site collaboration on the genetics of anorexia and bulimia nervosa. He has an international reputation in the field of eating disorders and is the author of more than 300 articles and publications. He attended Ohio State Medical School, trained in neurology at the University of Southern California and trained in psychiatry at the University of California, Los Angeles. Dr. Kaye was then a fellow and research physician at the National Institute of Mental Health for seven years where he conducted research on appetite regulation, behavior, and treatment for disorders. 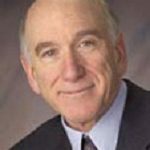 Learn More About Dr. Walter Kaye. Mark S. Gold, M.D. 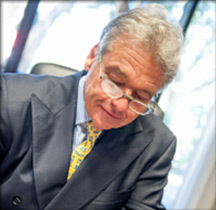 is the Chairman of Rivermend Health’s Scientific Advisory Boards. 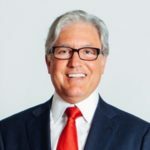 He serves as Chairman of the Addiction & Psychiatry Scientific Advisory Board and also as the Chairman of the Eating Disorders and Obesity Scientific Advisory Board. He served as Professor, the Donald Dizney Eminent Scholar, Distinguished Professor and Chair of Psychiatry from 1990-2014. Dr Gold was the first Faculty from the College of Medicine to be selected as a University-wide Distinguished Alumni Professor and served as the 17th University of Florida’s Distinguished Alumni Professor. Learn More About Dr. Mark Gold. 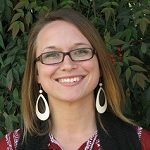 Erin Parks, Ph.D. is a clinical psychologist and neuroimaging researcher who is passionate about making scientific research accessible to everyone. Dr. Parks spent a decade using neuroimaging tools to study brain plasticity and development before she began specialized clinical training in eating disorder treatment. Dr. 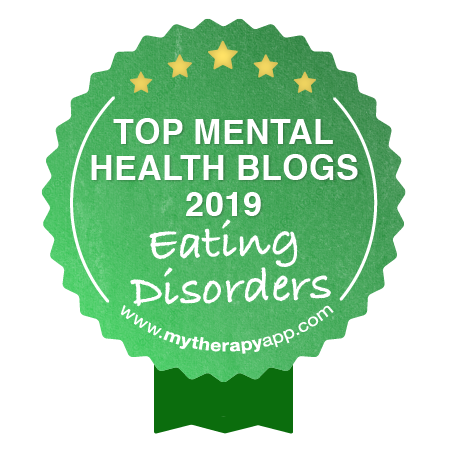 Parks graduated from Northwestern University and UCSD/SDSU’s Joint Doctoral Program in Clinical Psychology before completing her internship at UC San Francisco and then taking a post-doctoral fellowship at the UC San Diego Eating Disorders Center. Dr. Parks has served as a psychologist in their Adolescent Clinic and inpatient medical behavioral unit, as a manager in their Adult Clinic and Pediatric Clinic, and as a co-lead in their world-renowned one-week intensive programs. Currently serving as the Director of Outreach and Admission, Dr. Parks combines her clinical experience and research knowledge to help the public be better informed consumers of mental health services. Learn More About Dr. Erin Parks. Amanda Schlitzer Tierney, MS, CSCS is a NSCA Certified Strength and Conditioning Specialist and holds her Master’s degree in Sport and Exercise Psychology from Lock Haven University and her Bachelor’s degree in Psychology from Chestnut Hill College. 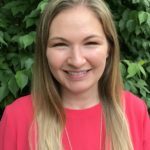 Amanda is currently the Co-Chair of the Association for Applied Sports Psychology: Eating Disorder Special Interest Group. Amanda has been working with athletes and non-athletes with eating disorders since 2006. Over the years, Amanda gained a wide-range of knowledge for this specialized population and found her true passion: helping individuals incorporate balanced exercise into the recovery environment. Learn More About Amanda Schlitzer Tierney. Greg Jantz, PhD. is the founder of The Center • A Place of HOPE in Edmonds, Washington, voted a top ten facility for the treatment of depression in the United States. Dr. Jantz pioneered Whole Person Care in the 1980’s and is a world-renowned expert on eating disorders, depression, anxiety, technology addiction, and abuse. He is a leading voice and innovator in Mental Health utilizing a variety of therapies including nutrition, sleep therapy, spiritual counseling, and advanced DBT techniques. 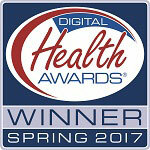 Dr. Jantz is a best-selling author of 37 books and has appeared on CBS, ABC, NBC, Fox, and CNN. Learn More About Dr. Greg Jantz. All who attend are automatically entered in the drawing to win a free bundled package of Dr. Jantz’s books. You may also purchase these wonderful books below! Melissa O’Neill’s role involves collaborating with others to create the vision and curriculum for all group programming offered at TK. She also clinically supervises the talented specialists who facilitate groups all over campus. Early in her career, Melissa spent time in residential care, working with children with significant trauma histories. She then ran a substance abuse IOP followed by several years in private practice. 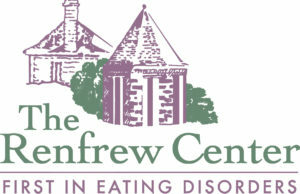 She also managed an IOP/PHP program for Eating Disorders and Mood Disorders. At Timberline she started as a Primary Therapist, followed by serving as a clinical lead. Learn More About Melissa O’Neill. Nicole Karst has 17 years of combined experience in the health and mental health fields. After completing her service in the military as a Fleet Marine Force Corpsman she started a career in nursing. 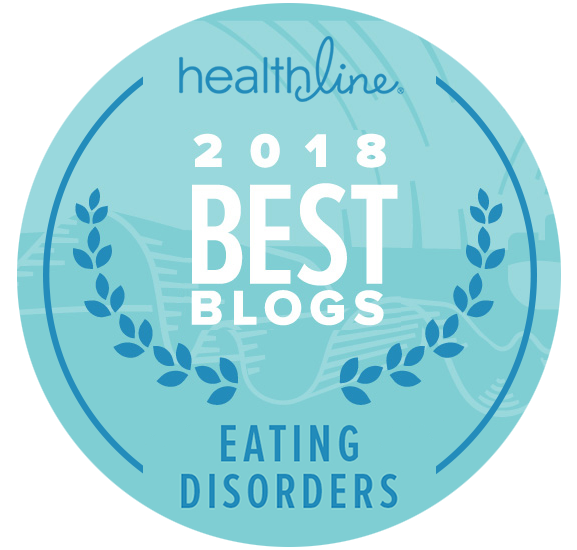 It was through her nursing experience that she began working with those diagnosed with eating disorders, substance use disorders, psychotic disorders, and mood disorders. This experience inspired Nicole to return to school and she is graduating this spring with a doctoral degree in Clinical Forensic Psychology. 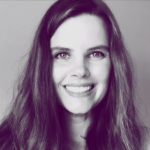 Nicole’s experience includes individual and group therapy, psychodiagnositic assessments, mindfulness meditation, and medical assessing/monitoring of complications related to eating disorders. Learn More About Nicole Karst. Mallory Mann, Ph.D. is an assistant professor in the Department of Kinesiology at Pacific Lutheran University (PLU). Among other courses at PLU, Dr. Mann teaches Coaching Effectiveness and Body Image. Her education and training is in both sport psychology and sport sociology. Dr. Mann is also a certified mental performance consultant (CMPC) through the Association for Applied Sport Psychology. As a scholar, her interests focus on gender issues and coaching effectiveness. Among her publications and presentations relating specifically to body image, Dr. Mann is currently co-writing a book to help coaches develop body positive team climates. This project remains both a professional and personal life goal. Learn More About Dr. Mallory Mann. 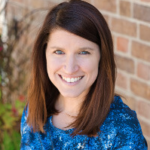 Adrienne Ressler, LMSW, CEDS, F.iaedp is Vice President, Professional Development, The Renfrew Center Foundation, and has served as senior staff for more than 27 years. Ms. Ressler attended the University of Michigan and served as faculty in the School of Education. A body image specialist, her trainings reflect her background in body-focused methods to treat eating disorders and body image. 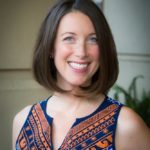 She is Co-Chair of the Somatic and Somatically Oriented Therapies SIG of the Academy of Eating Disorders and an Advisory Board member of Eating Disorders Recovery and Support in Petaluma, CA. A Fellow and past President of the Board of Directors of the International Association of Eating Disorders Professionals, she presently chairs iaedp’s Senior Advisory Board. Learn More About Adrienne Ressler. Kirsten Haglund served as Miss America in 2008 and now is proud to be the Community Relations Specialist for Timberline Knolls Residential Treatment Center and an “Ambassador” for the National Eating Disorders Association (NEDA). As a television personality and commentator, Kirsten appears frequently on Fox News Channel, HLN, Fox Business Network, and Huff Post Live to comment on women’s health issues, celebrity culture, social issues, women’s empowerment and the millennial generation. Learn More About Kirsten Haglund. Jennene Eklund serves on the National Team for Celebrate Recovery as the National Women’s Encourager Coach. She has been an active participant and leader in Celebrate Recovery, which is a Christ-centered 12 Step program available in over 30,000 churches worldwide, since 2010. She has four daughters(!) and is a passionate advocate for women, especially for those who struggle with food and body image issues, in the recovery community. 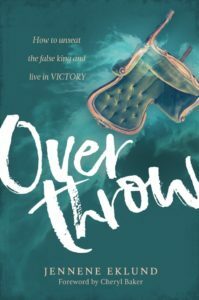 Jennene’s first book, Overthrow, was released in November 2017. Learn More About Jennene Eklund. All who attend are automatically entered in the drawing to win a free copy of Jennene Eklund’s book, Overthrow. Jennene Eklund’s book, Overthrow. You may purchase this wonderful book here! From Jennene Eklund comes a groundbreaking book that will embolden readers to demand from our culture a new conversation around our bodies, our food, and our world. Jennene combines fierce honesty, startling vulnerability, and bold certainty in confronting an issue and an industry that once held her captive in its pervasive grip. Challenging her readers with 6 life-challenging questions, Jennene weaves her own tale of pain, loss, and redemption through a book packed full of hope, inspiration, and truth; ultimately issuing a call-to-arms: war is worth fighting, because freedom is worth having.